The extremely gifted jazz singer and BBC Radio 3 presenter Claire Martin, O.B.E., has spent decades perfecting her performances, producing 18 albums and achieving international critical acclaim. Amazingly she’s won the British Jazz Awards seven times! 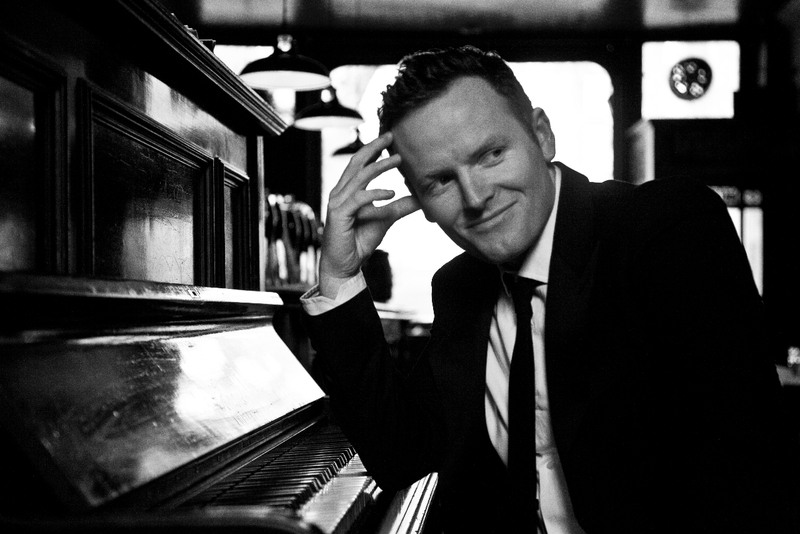 Equally talented jazz artist Joe Stilgoe, singer, pianist and songwriter, tours intensively on the live circuit, playing at prestigious venues throughout the world and his recent album New Songs for Old Souls has received considerable praise. At this St. James Theatre performance the two artists mixed familiar and unexpected songs and told stories with great charm, humour and enthusiasm. Together they swung and sparkled with Peggy Lee‘s ‘I Love Being Here With You’, performed a relaxed and playful ‘Do Wrong Shoes’ by Donald Fagen and explored music by Michel Legrand with the elegant ‘Watch What Happens’. In Irving Berlin‘s optimistic ‘Blue Skies’ flying bluebirds symbolised happiness and the lively rhythm of Van Morrison‘s classic ‘Moondance’ merged jazz with folk and soul. Joe sung in French in Charles Trenet‘s ‘Boum’, the remarkably silly song which uses odd depictions of sounds made by animals together with onomatopoeia. There were songs that Joe had written himself. The hypnotic ballad ‘Lost For Words’ was an unexpectedly magical moment and ‘Seaside’, written for Liane Carroll, sensitively created the imagery of sun and sand in a coastal landscape. Fine songs by George Gershwin also featured. A joyous ‘S’Wonderful’ sounded vibrant and ‘They All Laughed’ had the insight to look at those who ridiculed some of history’s famous scientific and industrial geniuses, observing “Who’s got the last laugh now?”. It was Gershwin’s glorious and delightful ‘Love Is Here to Stay’ which aptly ended this most enjoyable evening. Claire Martin and Joe Stilgoe are fresh, clever and glamorous. Together their harmonies are wonderful and there’s a combined confidence that’s quite natural and instinctive. They seem perfectly at ease in each others company.